Crocheting has become my new hobby. I love it. It is so relaxing. I have made dishcloths (see my pattern here) and thought I should try making some scrubbies to go along with them. 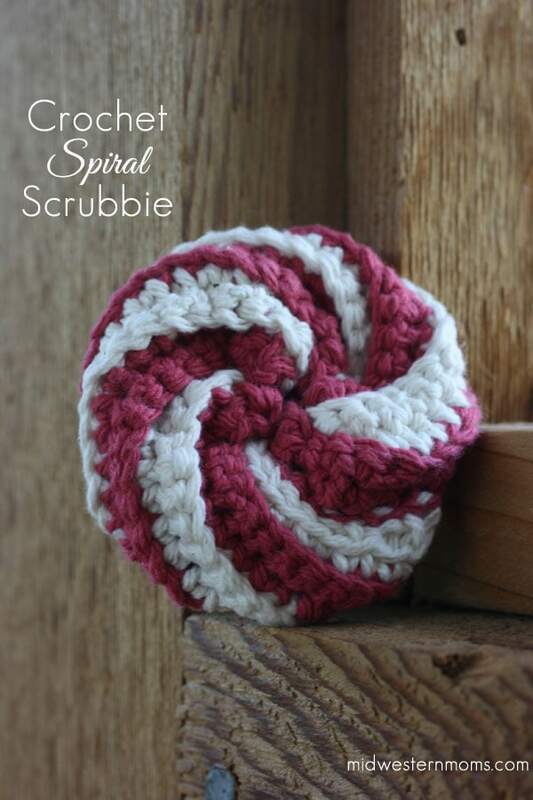 A spiral yarn scrubbie is a fun one to work on. I choose to use two different colors to try out this pattern. It was the first time for me changing colors. I used left over yarn from my sister’s gift and it ended up looking like a peppermint, which I loved! You can find this full pattern and tutorial on the Naztazia website. She has worked it up into a video, which is great to follow along with as you crochet! After all, You Tube is how I learned to crochet and the different stitches available! If you want a written pattern, it can be found on Crochet Patterns Only. The scrubbie I ended up giving my sister as part of her wedding shower gift was a nylon netting scrubbie. 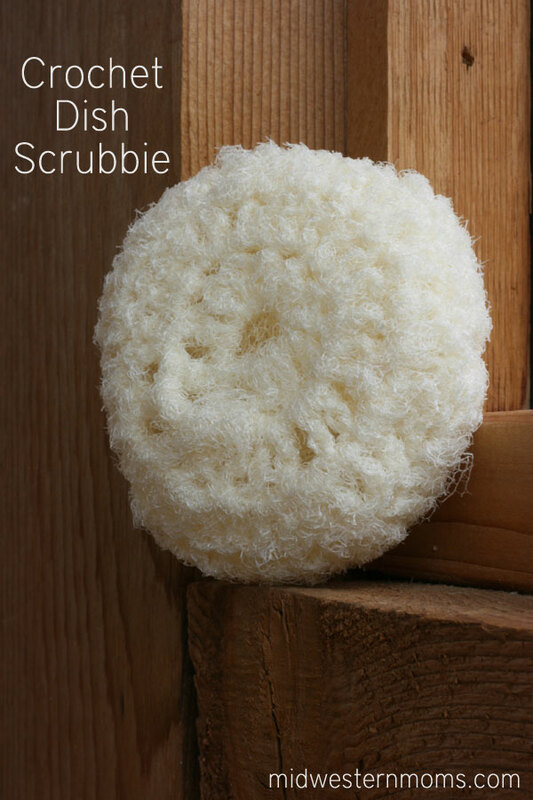 Personally, I like using the netting scrubbie vs. the yarn scrubbie. However, the netting is harder to work with. I found this pattern at Nadine’s Patterns. You can use tulle to make these but it will not be as coarse. I personally like using the nylon netting to scrub my dishes. What type of crochet projects are your favorite? Do you tend to like the long projects, such as afghans, or shorter projects that take just a few hours to complete? Thanks for sharing these. I made up my own scrubbie pattern but love looking at new ones. The spiral is adorable. I also prefer the nylon! !